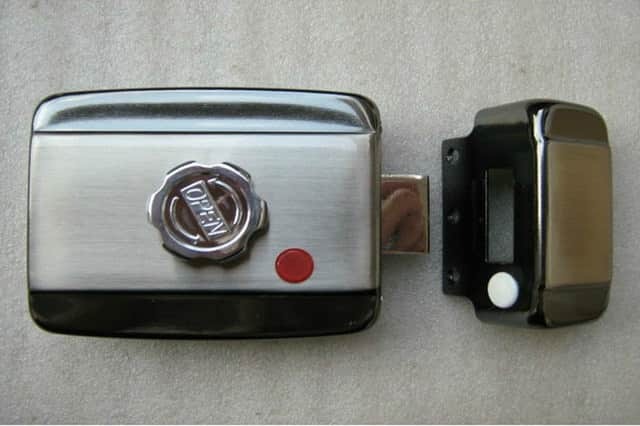 Electric door lock does not make use of a key thus it eliminates the incidences of lost, stolen or broken keys – which have been giving home and business owners huge headaches. The worries are not only about nonstop expenditure on replacement keys and locksmith services, but also about the possibilities of these keys being in the hands of thieves. Therefore, these smart locks can provide improved security to properties and individuals. You can control access because you will only assign individual user codes to people you prefer to enter. For workers, you can add new employees in the list and you can remove access of staff who resigned. Do not think that these locks – including an electric gate lock San Diego – are managed using apps. All of these functions using card readers, fingerprint readers, numeric codes, keypads, and smart keys. Allow us to help you decide which electronic locks will work for you best. At Locksmith San Diego, we have a wide range of these types of locks in our warehouse and service vans. We carry only the most trusted brands and models of security devices to ensure excellent delivery of locksmith services in San Diego CA. You may speak with us at (866) 306-8557 or visit us if you need expert advice as our team of locksmith technicians is friendly, trustworthy, and more important, highly reliable. We will be happy to talk to you and to share with you how we can improve the security of your home or office. 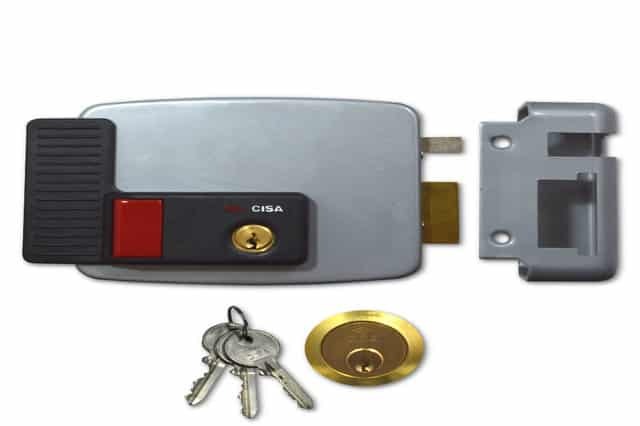 Electronic locks are divided into three: electromagnetic locks, electric strike locks, and wireless locks. Electric Strike Locks – These smart locks are unlocked soon as they are activated using cards, fingerprints, numeric codes, and others. But what makes these security devices highly reliable is the fact that these still have mechanical locks, which can still work as typical locks by setting them to open from the inside using the handle. They can also be set up with key lock option so they can be unlocked manually as well. Electromagnetic Locks – Electromagnetic strip controls the whole locking system of these kinds of locks. The magnet, which is attached to the door frame, gets activated when electricity passes through the coil assembly and armature plate, which is connected to the door. This then causes to door to close. This magnetic field also works to automatically lock and unlock the door using readers, push bars, and others. These are often used in fire doors, emergency exits, and glass doors. These types of locking devices are better than conventional locks because they are quick to operate and are more durable. Wireless Locks – These functions similar to strike locks, but the control is not in the locking system but on the door itself. 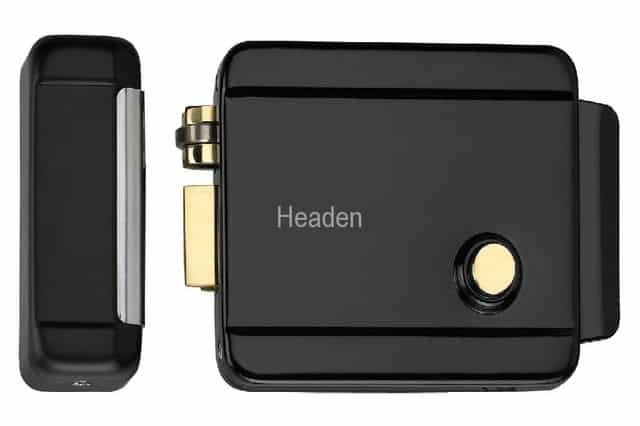 It is powered by a battery and the lock is released through the help of the wireless technology. They are often preferred by businesses and homes that have already completed their construction and no longer want to be burdened by installing wired doors. They only use electricity when the door is unlocked thus consuming less energy. They are also easy to maintain thus even if this smart security device is expensive, it is still cost-effective. An electric door lock is both fail-safe and fail-secure. Fail-safe means the lock will open on the part of the ingress in case of power outage or when the emergency alarm is pulled. This happens because without electricity, which is used to keep the door shut, the locking mechanism is disengaged. It therefore offers protection to people so they can immediately get out of the door and of the premises in times of emergency. It also enables the crowd to exit and the emergency responders to gain entry. Fail-secure works in contrast fail-safe. In case of electrical outage, the locking device will remain locked so it will secure your valuables when there’s an urgent situation. You are offered security advantages more than the traditional locks. You no longer need keys – that are often lost, broken or stolen and are frequently the cause of misunderstandings among families and workers. Likewise, you do not have to call for locksmith services in case you will need to change the access code – like you always do when you have to replace your old lock. You can set the time your employees can get inside and you can also limit the number of workers who will be allowed to enter restricted areas in your facilities or restrict the access of your children to one room in your home where you keep most of your valuables. More important, you can monitor who gets in and out of the building with the use of audit trails. Yes, as the property owner, you are in control of your security system. Why Hire Us for Your Needs for Electronic Locks. E-locks offer safety that extends to your property and the people you are with. They attend to your everyday security needs. They cost a lot higher than traditional locks, but they are cost-effective because they are durable. Conventional locks can easily get broken – especially when given multiple blows by burglars and robbers – magnetic locks won’t. They are also easy to install. However, will you choose to risk the ‘life’ of your electric lock with your own hands – or in the hands of the person who claims he is an expert? You do not want to spend more on something that will only risk the safety of your family or workers, as well as your properties. Count on us to provide high quality, efficient electronic lock installations. 7 Day Locksmith is a bonded, licensed, and insured company. We have been in business for many years and we have been consistent in the quality of our work. We have a wide range of e-locks, including electric lock San Diego, in our warehouse. Our locksmith technicians are all certified, background-checked, and drug-tested. We have been providing services for homes and businesses for many years as well that our expertise is unquestionable. We work not only to ensure that we help secure residences and commercial establishments, but to also see to it that they get value to their hard-earned money. We treat our clients with high respect thus our customer base are growing. Speak with us and we will listen to all your concerns. Together, we will plan to protect your privacy and security.